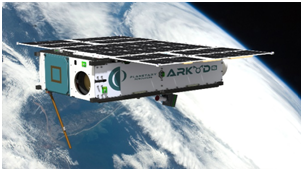 Astro Digital has been creating APIs and CubeSats for geological mapping, natural disaster management, forest management, water cover sensing, etc. Sentek Dynamics is proud to have a hand in their projects. Astro Digital used the Sentek Dynamics’ vibration testing system at the Sentek Dynamics’ facility in Santa Clara, CA to test the Landmapper-BC. Astro Digital made use of Sentek Dynamics M-Series shaker and Crystal Instruments’ Spider-81 controller for sine-sweep and random vibration tests. The DUT was tested in the vertical and horizontal positions. The M-Series shaker has an active armature suspension system, load support, and a guidance system to ensure quality test setups. The usable vibration control frequency range for the M-Series shaker is from 5 to 3000Hz. Some shaker systems do come with a long stroke option, thereby giving our customers the best testing conditions possible. The Spider-81 controller used for the test is equipped with the patented dual ADC and provides superb dynamic range of 150 dB; thus guaranteeing a high accuracy in control. The controller many safety features implemented to protect the device under test. Multi-tab and multi-screen support is provided to allow viewing of multiple signals simultaneously. The random vibration controller provides precise multi-channel control in real time. The device under test is subjected to true random noise with a precisely shaped spectrum with either Gaussian or non-Gaussian amplitude statistics. With a control dynamic range up to 90 dB, up to 512 channels can be enabled for control, notching, monitoring and time data recording. The recording option records time-stream data at the full sample rate on all input channels. A unique hardware/firmware/software design featuring spectral overlapping provides a fast loop time of less than 15 ms in a typical test. Astro Digitals’ Landsat and Centinel are enhancing our geographical monitoring capabilities with their state-of-the-art technology. 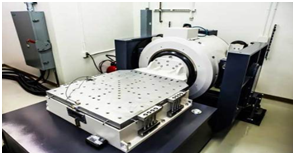 We at Sentek Dynamics and Crystal Instruments will continue to support such efforts by providing proven, high quality testing to improve product reliability and enhance technology.